I started asking around for great recipes and my friend Diana began raving about Lasagna Cups. 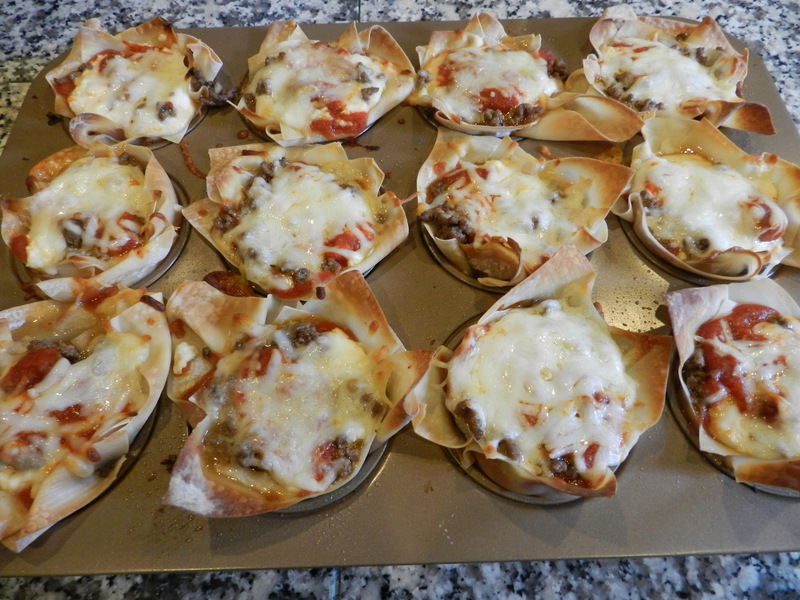 After a little research I was surprised to find there are many variations of Lasagna Cups. I went through the different recipes and put together a variation of my own. Thanks Diana for the inspiration!! Place whole Wonton (Egg Roll) Wrapper in each cupcake cup. Mix together two cups of Ricotta with 1 cup of Mozzarella and a sprinkle of Parmesan. After the meat is browned, spoon a bit of sauce on the bottom of each cup. Then add a spoonful of cheese mixture and a spoonful of meat. Place a wonton square on top of the meat. 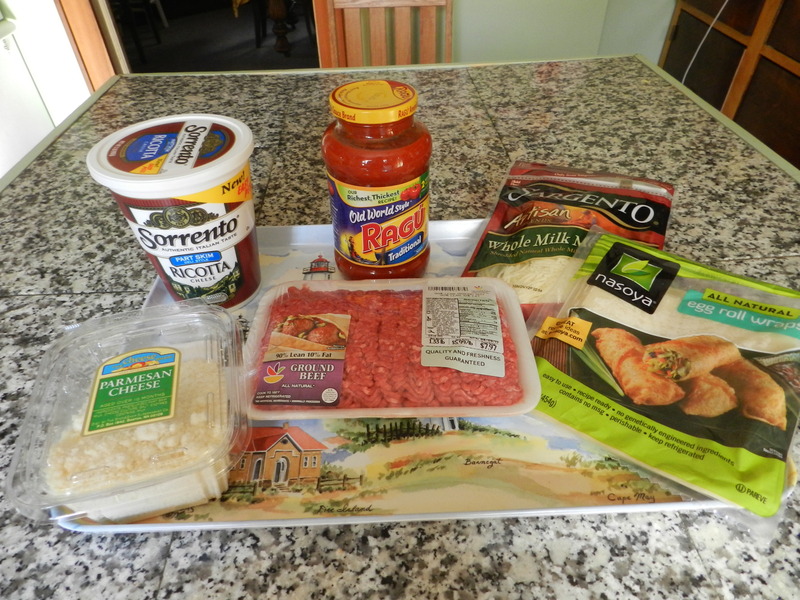 Then repeat with the sauce, cheese, and meat.